Join me for a free webinar, March 31, The Symbolism of Tibetan Imagery and Thangkas. This webinar begins an exploration of this rich spiritual art form. For details or to register, click here. One week later the 6 session online course begins. Each session will engage the dynamics of the symbols as instruction and as presentations of innate pure Being (buddha nature). Online courses are convenient and leave a smaller carbon footprint than driving. All sessions are webcasted such that you can watch and learn at your convenience if the hour of the live session is not conducive to your schedule. I am excited about this course, and I hope you will join me. For details or to register, click here. Here is the list for each week’s subject. 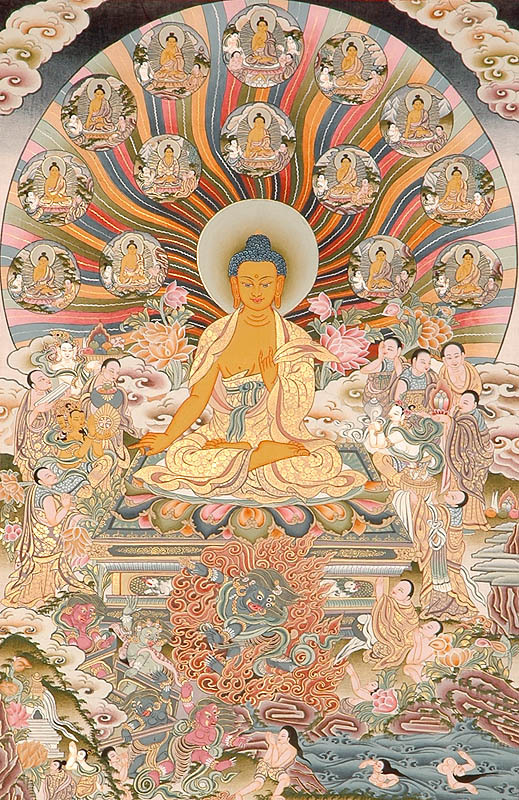 Explore some of the posts that have been on Buddhist subjects. This entry was posted in Mahayana, Vajrayana and tagged Buddha, Buddha-nature, symbolism, thangka, Tibetan imagery. Bookmark the permalink. Yes, the course was very well received. Buddhist practitioners as well as people interested in the beauty of Tibetan imagery or in symbolism all found the online course very useful to their personal spiritual path and understanding of reality. It will run again online next year.